The more I explore Moroccan cuisine, the more I appreciate its use of spices to transform the ordinary into a veritable celebration of the senses! This recipe is the perfect example. Simple, steamed carrots become an exotic experience with the perfect combination of spices and herbs. This carrot salad would be perfect at a Moroccan meze table or even as an accompaniment to some kebabs, barbeque chicken or steak. I found the recipe in Plenty, by Yotam Ottolenghi, so I knew it would be awesome and I was right! I hope you enjoy it as well. Peel the carrots and cut them into semicircles ½ inch thick. Place carrots in a large saucepan and cover with salted water. Bring to a boil, then turn down the heat and simmer for about 10 minutes or until tender, but still crunchy. Drain in a colander and leave to dry out. Heat the oil in a large pan and sauté the onion with some salt and the sugar for about 12 minutes over medium heat until soft and turning brown. Add the garlic, green chiles, green onion and the spices and sauté until fragrant. Add the cooked carrots, vinegar and lemon and combine well. Remove from heat. Season with salt and leave to cool. Just before serving, stir in the cilantro. Serve in individual bowls with a dollop of yogurt, and a drizzle of oil. Garnish with extra cilantro. I really love this dish 🙂 Sometimes I add caraway powder into the salad, so good! I bet the slightly sweet carrots & the spicy bouquet make a wonderful match – I really love those Moroccan dishes ever since a short journey to the country some years ago…! Love the spice/seasoning blend…sounds delicious and so pretty too! Definitely something I want to try. Did you serve this at room temperature, or chilled? Hey Nancy – hope you get to try it! I served it both ways, but I think I like it better at room temperature. The flavours pop more than when it is cold. You know I’m on board with Moroccan food Julianna. 😉 Never tire of these flavour combinations. Hey Geraldine, yes I do know that 😀 ! Here’s another veggie dish for you then! I love the cookbook Plenty, but have not used it for a long time. Thank you for the reminder, plus, this is a great recipe for the carrots that are overflowing in my fridge right now. 🙂 Beautiful carrots. Just wanted to tell you I made this yesterday, Julianna, and it was very good! Carrot are not my preferred vegetable, but my dear Chef Julianna your dish looks great… because of your recipe I’m going to buy a bunch of carrots tmw! thanks for sharing! Oh my goodness, I am so honoured!! Imagine that you are going to buy carrots because of me?? 😀 You are too sweet, Margherita! I really hope you like them, but I think that you will! 🙂 Please let me know! 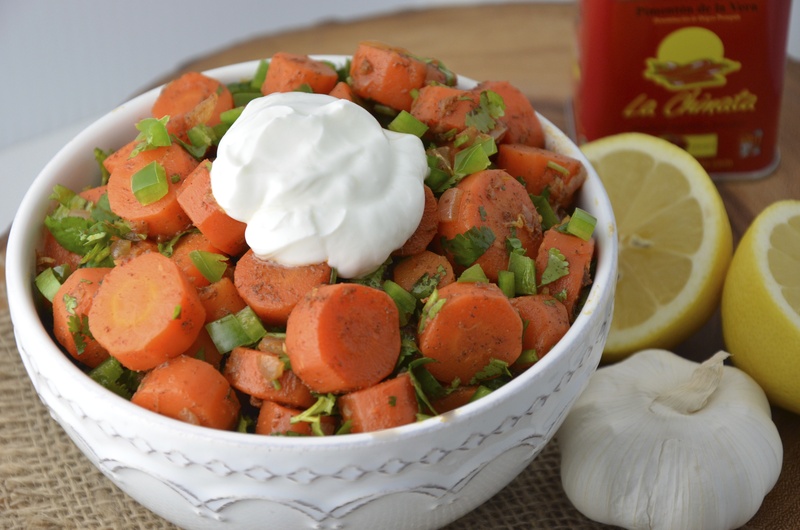 Fresh, spicy, healthy….Love it!!! Beautiful pictures!!!! delicious – I have found Plenty to be a little intimidating due to long lists of ingredients as is fairly evident here. “Jerusalem” is much less intimidating. That having been said I haven’t had a bad result from either! that’s not weird – my wife gravitates to exactly the same recipes – drives me a little crazy but the results are delicious! I prefer simpler fare – equally delicious! 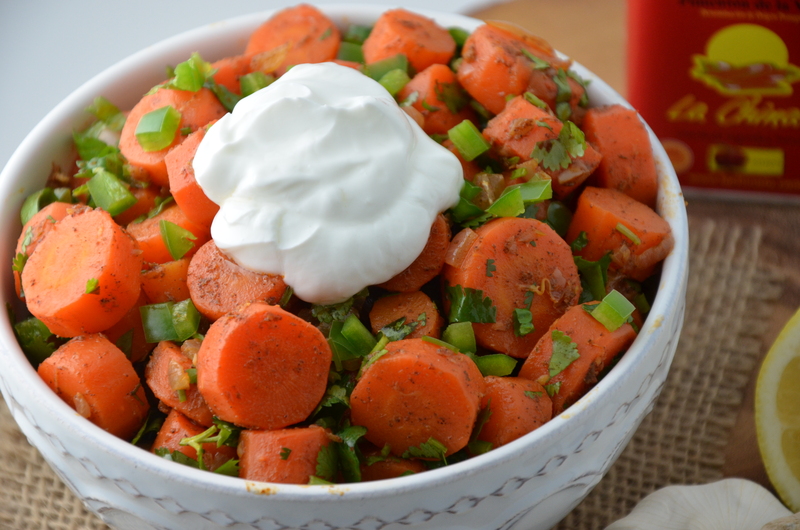 I LOVE carrot salad, so this is my perfect post! 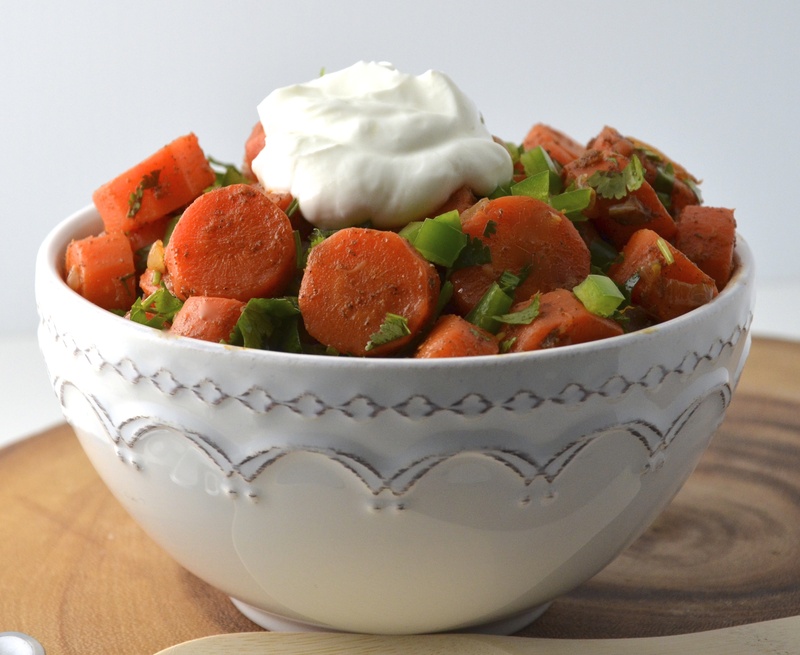 I have never tried such an unusual Carrot salad, but will do so tomorrow! Thank you – really looking forward to it, Julianna! Well, I really hope that you like it, Emma! Please let me know how it turns out! Love finding exciting ways to serve carrots – thanks for the inspiration.